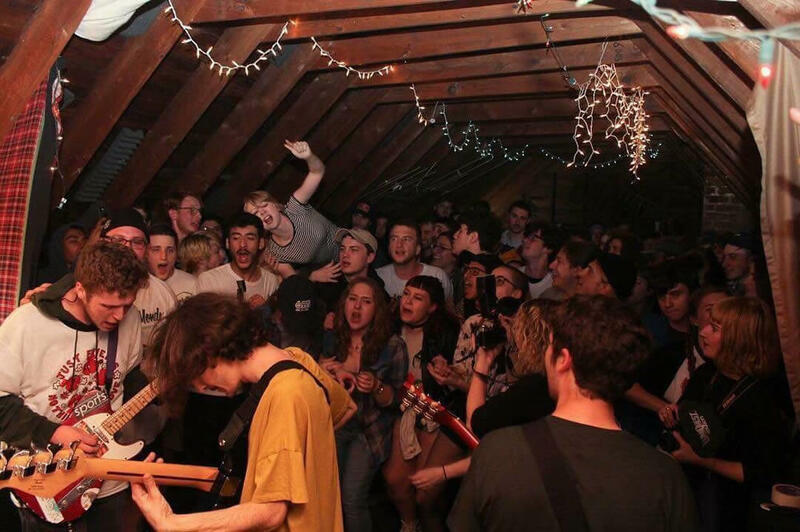 Project: The Chateau Shows, a DIY community music and arts venue startup initiative for the enrichment and enhancement of the Capital Region's cultural ecosystem and creative economy. stalwarts committed to enriching the musical and cultural landscapes of the Capital District by setting aside traditional commercial avenues to thoroughly explore artist-friendly and audience-first live concert and promotion initiatives. Dan Maddalone has been a leading force in the local music community for over ten years, particularly in the realm of public performance and event promotion. Through his past work at B3nson Recording Collective and WEQX and present involvement in Five Kill Records and Chateau Shows, Maddalone has lent uncountable hours of personal labor to bringing high quality underground music to the public. Mr. Maddalone currently runs Chateau Shows out of his house, hosting intimate, community-building basement concerts that are often filmed and presented to the touring artists as free video content, promoting a synergistic cultural exchange between our area and other vibrant music communities throughout the country. Dan Paoletti is a co-founder of Bee Side Cassettes and board member of Five Kill Records, as well as an equally active and DIY-committed show promoter in the Albany area. Mr. Paoletti has an active role building relationships between local promoters, event hosts, and artists while also bringing unique touring acts from a variety of genres to area audiences, both at house shows and at traditional venue spaces. We both tend to host our events in improvised DIY spaces, usually in basements, backyards, and non-traditional store fronts. 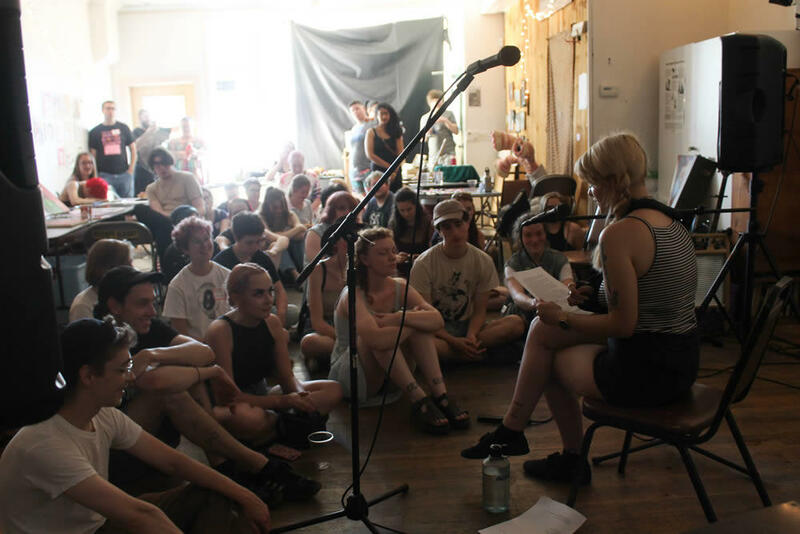 But while we acknowledge the importance of hosting events in these intimate spaces in terms of community-building, content curating, and reducing cost overhead to create the ideal concert experience for performers and attendees alike, we recognize that we have only embraced this methodology out of necessity. We believe that the area is underserved by live audience- and artist-friendly concert venues concert venues, despite having one of the most vibrant music communities in the country. Our venue project aims to facilitate the kind of all-ages, safe, and sober environment that DIY shows often provide, while also operating in a legitimate space that provides better live sound, improved artists and audience experiences, and the improved safety standards and self-promotion potential that comes with operating out of a legitimate licensed business location. The only drawback of getting into this kind of work is that it's incredibly expensive in totally unpredictable and often imperceptible ways. Our funding plan is to raise startup capital from among trusted friends and area industry figures, in the hopes of spending the first 6-12 months getting our space up to code, fulfilling necessary paperwork with the City and State, and eventually filing for Non-Profit status in order to continue offering these services to the area AT COST for as long as we can. We strongly believe in this project first and foremost as a public good -- that providing a "free range" space for cultural exchange and individual expression constitutes an indispensable investment in the overall culture health and larger economy of our region, especially as it continues to grow in the following decades. Photos by: Ariel Einbinder for Super Vintage Party (1, 3) and Dan Maddalone (dir.) for Chateau. hosted at the current Chateau Shows location: ChateauShows.com.